The apartment is located in one of the best places in Tel Aviv. On Ben Yehuda / Arlozorov, 100 meters from the beach and the Hilton. Close to the most renowned restaurants, cafes, and bars. 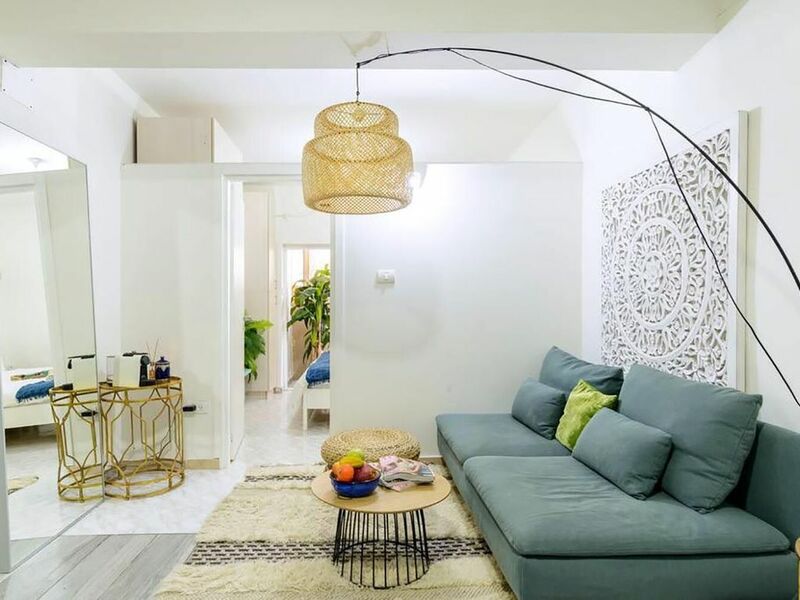 Moroccan design on a super cute ground floor apartment with separate bedroom and living room. The apartment is designed for couples and friends that want to enjoy the city or families that just need a little gate away of pure relax . Its the perfect vacation spot! In the heart of all the main attractions. Quiet apartment perfectly located in the best location of Tel aviv, only one block away from Hilton Beach. The room offers a comfortable bed with quality pillow and sheets. In the living room we have a comfy couch with a Moroccan vibes all over the flat.